Along with offering delicious food to people, a restaurant also provides a wide range of employment opportunities to candidates. Its job requirements range from waiter, waitress, cashier, chef, bartender, manager, assistant manager and many more which a large number of candidates seek for. While writing a sample resume for any type of restaurant job it is important to reflect yourself as a best customer service provider, as in a restaurant job you need to deal directly with the customers. 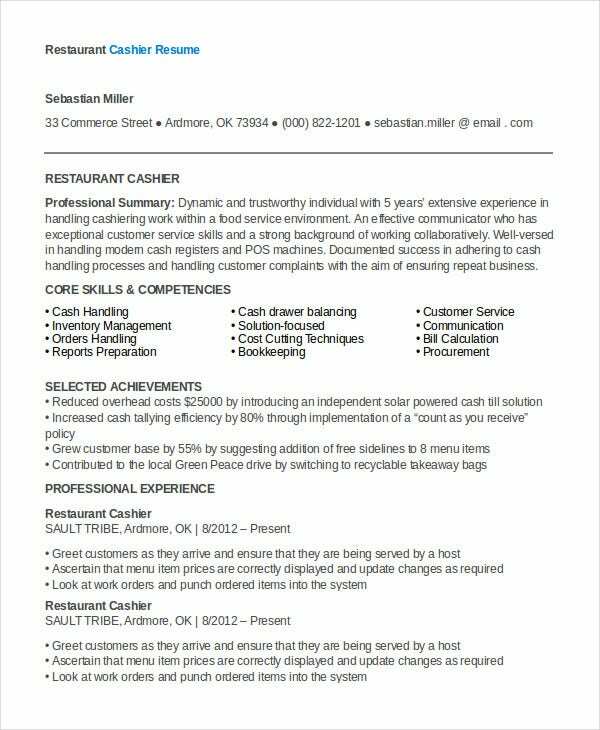 If you are applying for a restaurant job, then check out the below listed restaurant resume examples and download the suitable one. 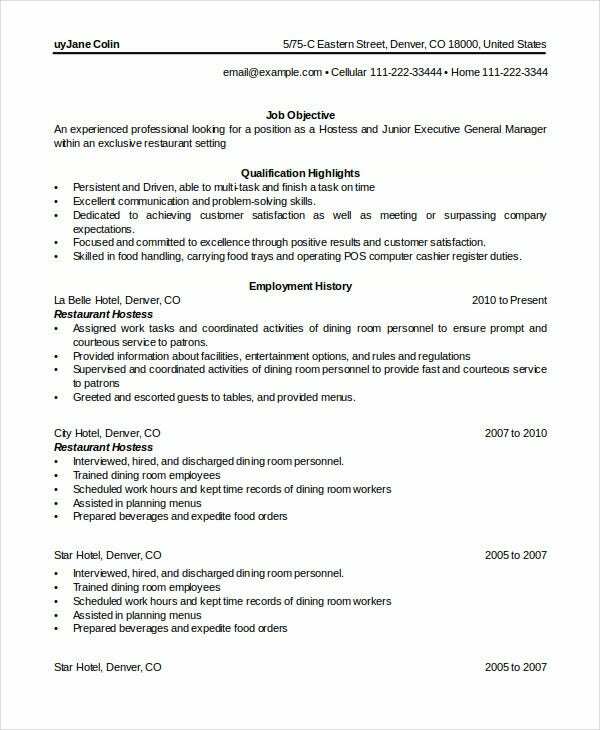 Apply in a fast food restaurant using this fast food restaurant resume sample that consists of all the clauses that an employer would be interested in while looking for an appropriate candidate for his/her fast food restaurant. 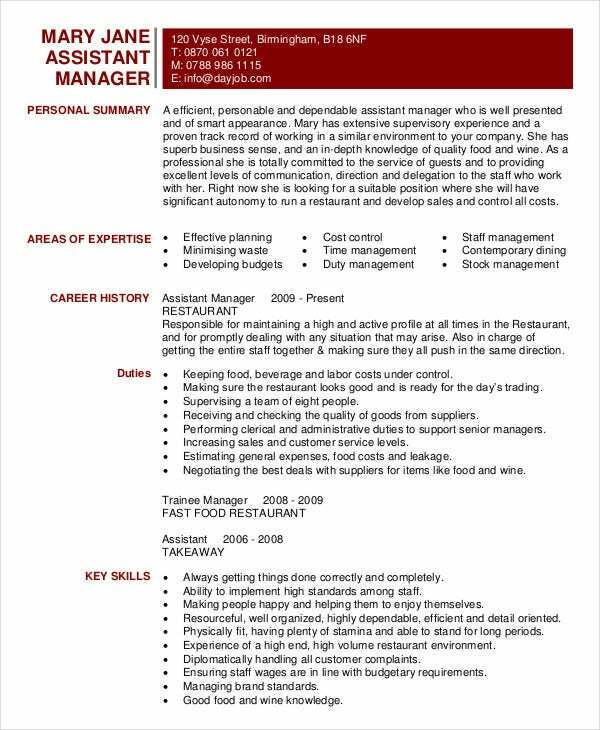 Apply for a post of assistant manager in a restaurant utilizing this resume template and impress your recruiter with your personality and highlight your key skills that would be beneficial for the recruiting restaurant. 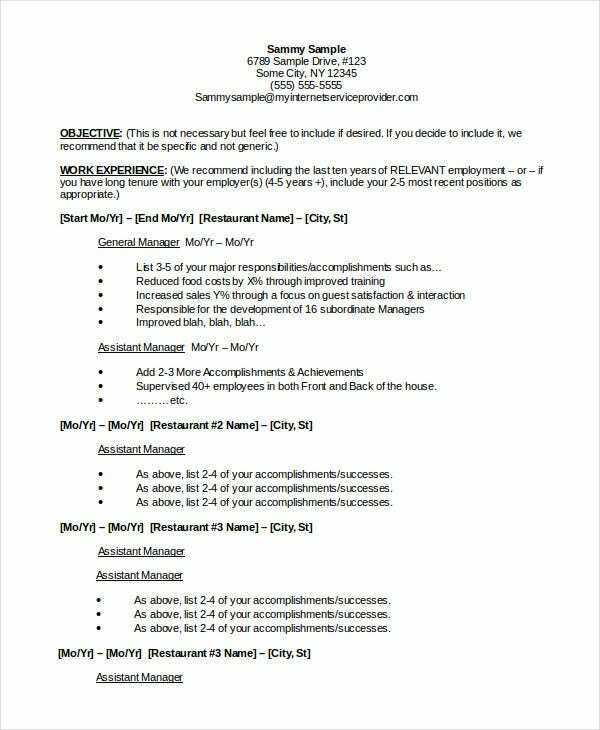 Here is another restaurant bartender resume template created in Word format and is ideal for candidates looking to apply for a bartender’s position. This is definitely going to strengthen your candidature in the interview. 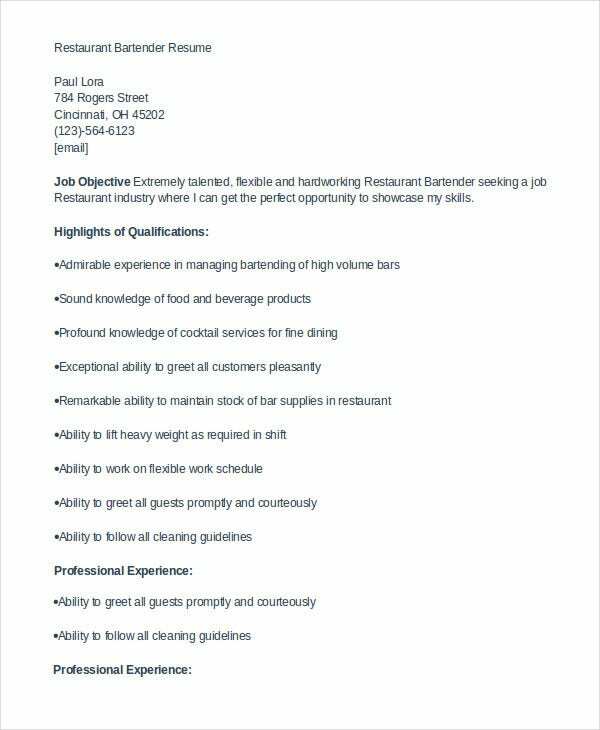 > What to Include in a Restaurant Resume? There are certain key sections and clauses that need to be included in a resume example while applying for a restaurant job. Check out below listed tips and know about the important things that your restaurant resume need to include irrespective of whether you are writing a waiter or waitress resume, manager resume, chef resume or more. The first section of your resume need to clearly define your mission statement or career objective clearly. Avoid writing stories rather express your career orientation in concise words. Your resume need to include your professional experience that you have acquired in the relevant job at various places. The experience should be included in chronological order. Also make sure to include your educational qualification in a tabular format. At last include a summary of your whole resume ensuring that it solely can define you as a person. It can have a major impact on the recruiter. 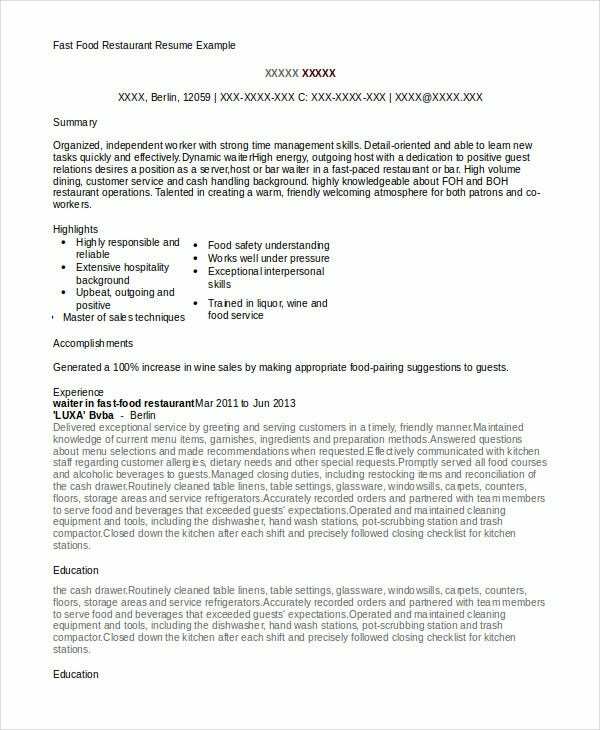 Apply for a restaurant manager’s post in such a way that a recruiter cannot reject your resume in any way. 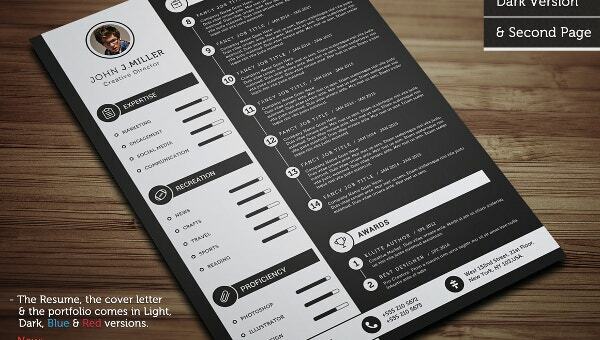 Thus restaurant manager resume template helps you grab the required attention of the employer effectively. Interested in applying for a restaurant attendant position? 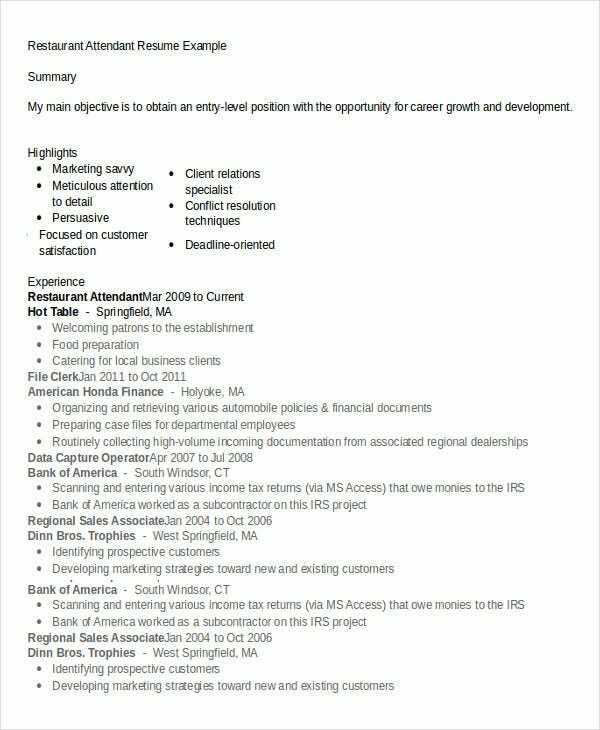 Check out this resume example and grab the attention of employer. 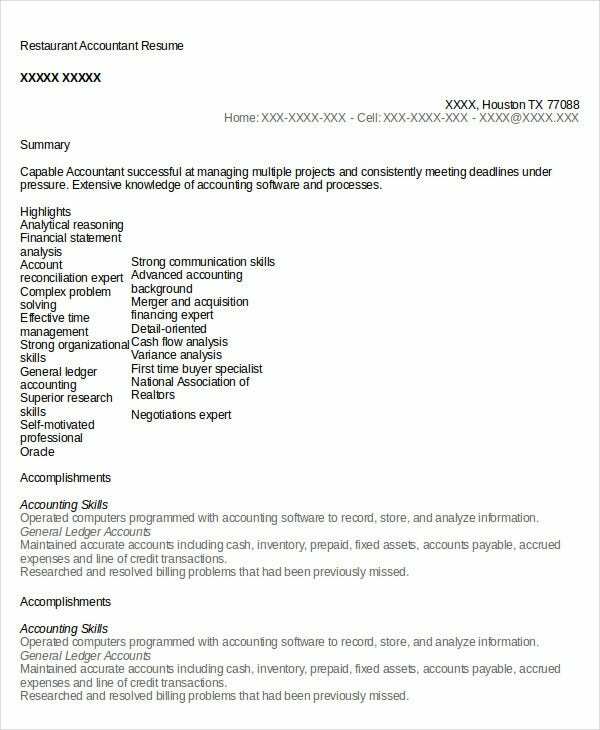 You will definitely be able to impress the recruiter with this resume. 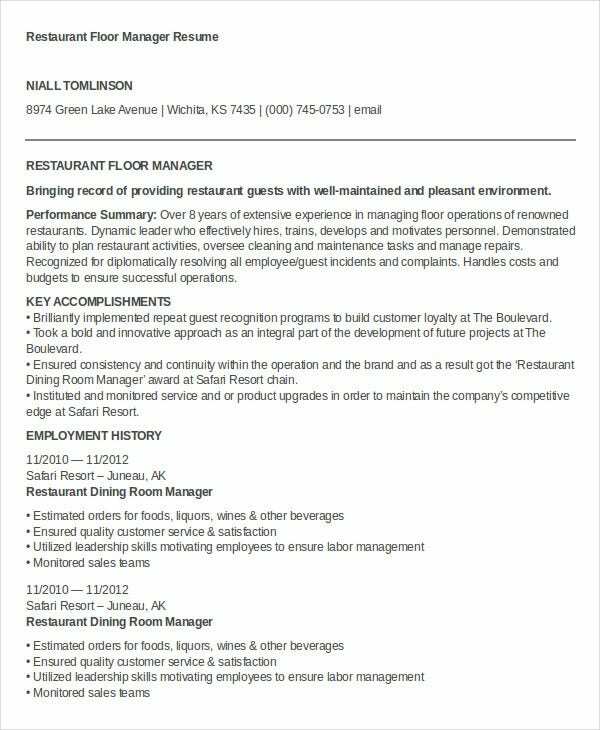 > What Mistakes to Avoid in a Restaurant Resume? While writing a restaurant resume there are certain things that need to be avoided to prevent your negative impression on recruiter. Here are those things to be avoided. Avoid any kind of typo, grammatical mistakes while writing your resume. Proof read once you complete it. Avoid mentioning any irrelevant hobby in your resume rather focus on specifying something related to your work. Make sure you don’t specify any irrelevant job experience as recruiter may find you an unstable professional. Avoid using casual shorthand words in your printable resume that you usually use while chatting and all. Rather use a professional language to express yourself and impress the recruiter in the best way. 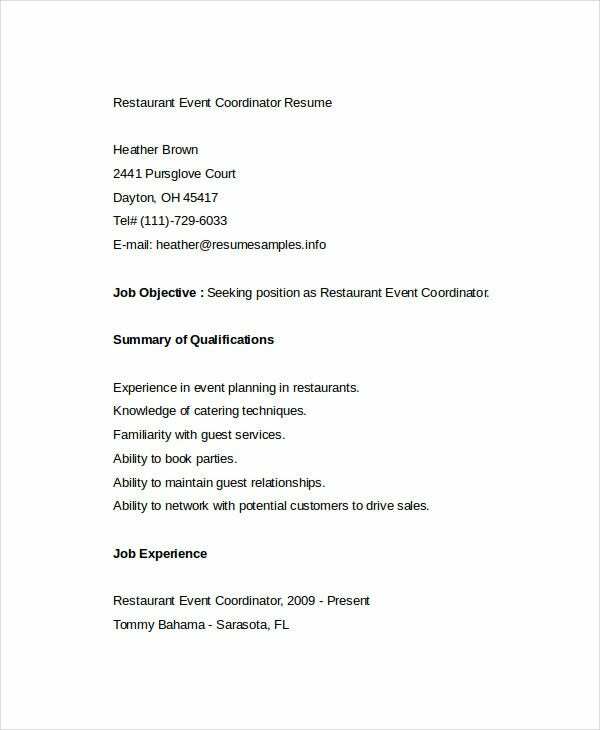 If you are finding ideas to write a resume to apply for a restaurant position, these resume samples are ideal to be utilized. Whether you need to write a cashier resume, manager resume, bartender resume or more, you can have best ideas from the above listed samples and grab your dream job easily.